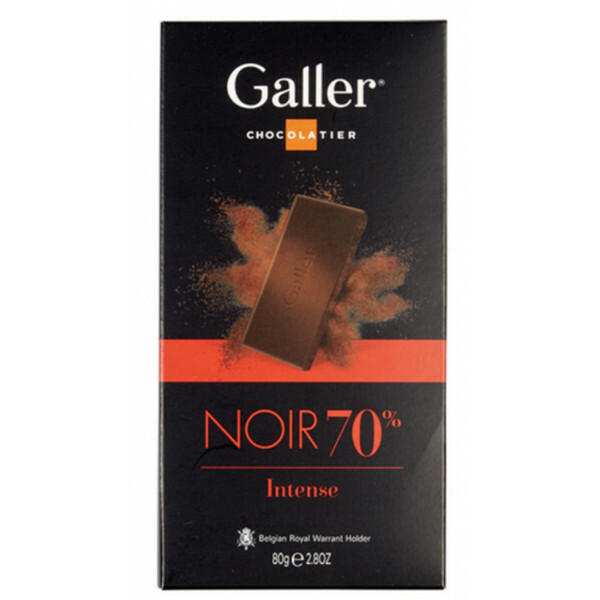 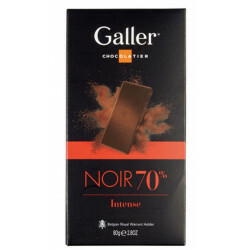 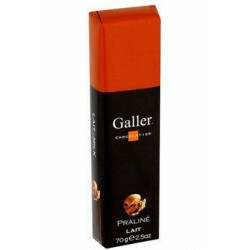 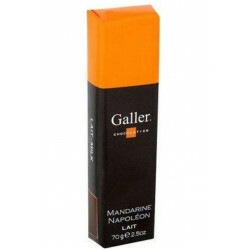 Galler Tablet Noir Intense 70 % - Balance, intensity, smoothness and elegance. 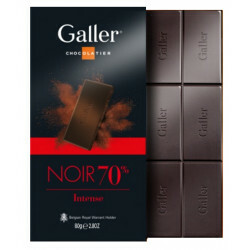 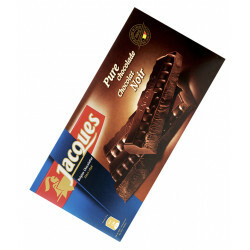 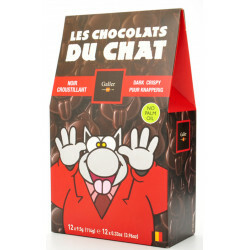 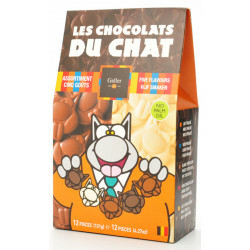 With its 70% cocoa content, this tablet has what it needs to take your breath away! 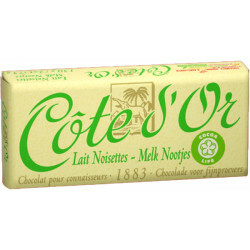 Ingredients: Cocoa paste, sugar, cocoa butter, emulsifier : soy lecithin, natural vanilla flavouring. 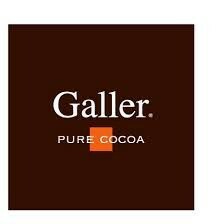 Cocoa: 70% min. 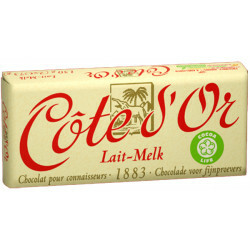 May contain: nuts, milk, eggs and wheat (gluten).